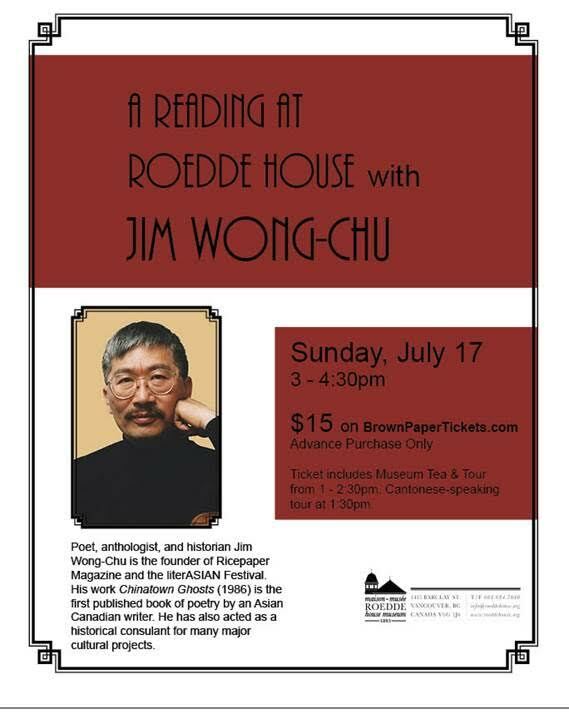 Our partner Roedde House Museum is hosting a reading with poet, anthologist, and historian Jim Wong-Chu on Sunday, July 17. Jim’s reading will be at 3pm followed by a small reception. Tickets are $15 and include Tea and Tours of the museum from 1-2:30pm. A scheduled Cantonese language tour will be held at 1:30pm. Tags: Arts and Culture, reading, Roedde House Museum. Bookmark the permalink.